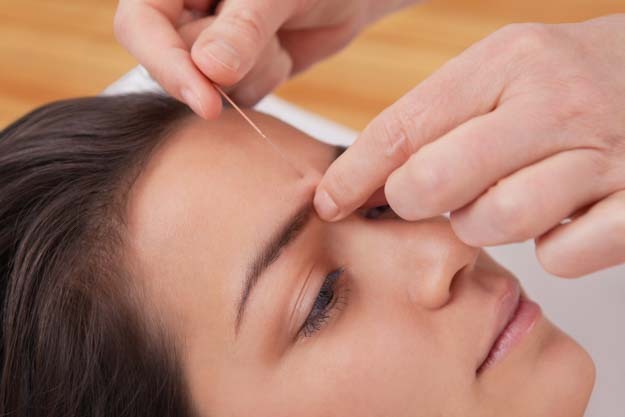 This online audio course presents modern acupuncture research for the treatment of migraines, insomnia, back pain, fibromyalgia, and postoperative pain. Explore acupuncture point prescriptions and positive patient outcomes associated with their use as documented in scientific research. Also, learn biological responses to acupuncture measured by blood tests, MRIs, and electromyography. Purchase the course to download links to the audio presentation. The listening materials may be played online at HealthCMi, downloaded as an MP3, or played as a podcast. The listening materials are accessible on Apple Mac, Windows PC, iPad, iPhone, Android, and other platforms. Next, simply take the online quiz and receive a certificate of completion INSTANTLY for acupuncture continuing education credit. You may retake the quiz as often as needed. There are no time limits. Complete the course at your convenience. It was informative. Thanks! Good to see research. Great review of current research! If you love studies as proof this medicine is effective this is the right CEU class for you. From Mayo to Stanford, the studies just kept proving acupuncture as a viable form of medicine. Very informative! I enjoyed reviewing the scientific research and will share this knowledge! Very informative. A good reminder to share research with patients about their particular conditions. Very interesting research articles. Can't wait to print some of these out and put in my waiting area! This was a very different course..the reading of research findings...great info and very supportive of the profession. Acupuncture are effective to treat insomnia. The class is based on an interesting set of research articles that can be shared with patients. Very informative, great knowledge and looking forward to printing the research off for my patients. Great course- i love the inclusion of the research and the protocols! in the effectiveness of acupuncture. It had good ideas and suggestions for my practice. Loved it! Good summary of current research on various subjects. Good course and exposure to studies. Good information, especially for someone who doesn't do research herself. Glad to see acupuncture is being studied in the Western world more. Very interesting, clear, well presented and informative. SO nice to have a well paced and well spoken presenter with incredible info! Loved it. Interesting information, and useful to share with patients. Thorough and easy to understand and review for its content. I thought the class was interesting and useful. It is always important to know and understand what research is saying about the efficacy and effectiveness in regard to acupuncture as a useful and safe treatment for patients as well as understand which ailments acupuncture has been shown to be most effective for. This was a very interesting course. I like having studies to give my patients that support what we are working on. The information on the studies conducted on Acupuncture was fascinating. provides very important and current knowledge. Great info on medical studies and how to use them to increase patient compliance!